We offer our services since 2005 and provide you with a huge range. You want to fix your computer, but do not have time to bring it in for repair? No problem, we from the IT Service Berlin will pick it off, repair, bring it back and connect it so again, as he had. Your IT Service Berlin done for you the costly Windows installation, whether 7, 8.1 or Windows 10 but Macs are set up again too. Part of the standard of our IT Service Berlin is that all drivers will be installed in the new Windows installation, so that the computer hardware also present in the works. On request we will bring your operating system and up to date when it comes to Microsoft updates, it costs a lot of time namely. Your own files can be transferred from the old Windows installation. After that your Windows installation as the first day of your device. All this done your IT Service Berlin. Have a problem with your wireless network? Your internet does not work properly? No problem, your IT Service Berlin cares and of course to the laptop repair. For corporate clients, we also provide networks with cloud services. It is used a remote desktop software, so that the reaction time can be reduced to a few minutes. The backup is set up, the cloud configuration checks made solutions locally - and also for all monthly flat fee. Also available as emergency we will act within Berlin. A laptop, notebook or Macbook is now standard. Notebook repair all current models are of course with us, your computer, laptop Service Berlin. 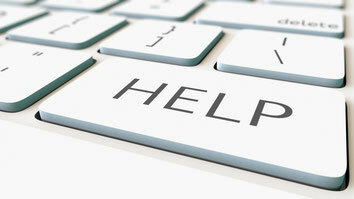 We can make the laptop or PC repairs on site or at our workshop. We offer our computer service in Berlin partly at fixed prices. Talk to us to your problem, we will surely reach an agreement. On subsequent page, you have the option of our other services such as to inform our remote maintenance service.